Cheetah Conservation Fund (CCF) – Get up Close to a Cheetah! You are here:	Home » News » Cheetah Conservation Fund (CCF) – Get up Close to a Cheetah! Namibia is home to the largest free roaming population of cheetah in the world! The Cheetah Conservation Fund (CCF) was started in 1990 and is the global leader in research and conservation of cheetahs. CCF is an international non-profit organization and is totally dedicated to saving the cheetah in the wild. Thanks to its founder, Dr. Laurie Marker, the attitudes and perceptions of farmers and land owners in Namibia towards these graceful big cats has changed considerably over the years resulting in the population of these cats to grow and thrive. Farmers are taught about methods to conserve biodiversity and about the role of the cheetah and other predators in healthy ecosystems. This has resulted in more than half of the 900 cheetahs that CCF has worked with being successfully released back into the wild. However there are always injured and orphaned cheetahs that cannot survive on their own in the wild bush and CCF provide these resident cats with a large and peaceful reserve for them to live as close to possible to how they would in the wild. The CCF is located just outside of Otjiwarongo in Northern Namibia and is conveniently position between the capital city of Windhoek and Etosha National Park. Visitors are welcome to visit the CCF Field Research and Education Center and partake in some of daily activities available. In fact a visit to CCF is highly recommended and is a highlight for many travelers to Namibia. The activities for visitors to CCF include Guided tours around the Centre and Cheetah Museum, Cheetah Drives, Cheetah runs, Cheetah feeding and game drives. Families particularly enjoy visiting the centre as it allows young children to get really close to a cheetah which would normally not be possible out in the wild. CCF also have a children’s educational playground where kids complete a range of activities which are designed to demonstrate cheetah physiology and environmental issues – children are shown that learning can be fun! Feeding times at CCF brings much excitement not only for the cheetahs but visitors too! Visitors to CCF get to experience and watch some of the orphaned cheetahs getting fed (remember feeding times are at 2 PM during the week and at 12 PM on weekends). The Cheetah Safari Drive allows visitors to get close up to these graceful cats. The Cheetah Run enables visitors to experience the incredible speed that these animals can achieve. 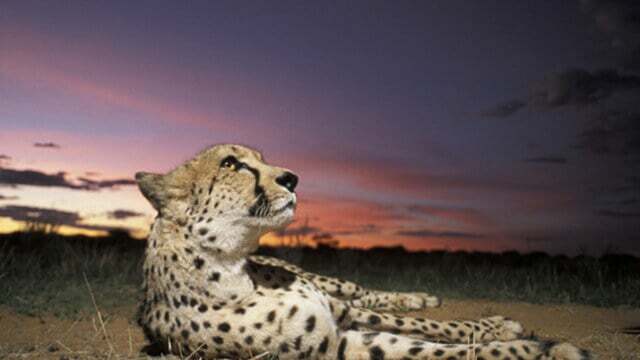 The Cheetah’s long-legged and slender body is built for speed – they are known to reach speeds of up to 113 km/h (70 mph). They use their long tails in a similar manner to a rudder on a boat – this assists them to turn and steer in the direction they want to go which is especially helpful when hunting their prey. Cheetahs can also be viewed in their natural habitat in CCF’s Bellebenno Reserve which offers excellent viewing and photo opportunities. Enjoy a private safari through CCF’s own “Little Serengeti” which is a scenic open plain featuring large herds of Oryx, hartebeest, springbok, warthog, and jackals. Another very popular activity at CCF is the Cheetah Exclusive. 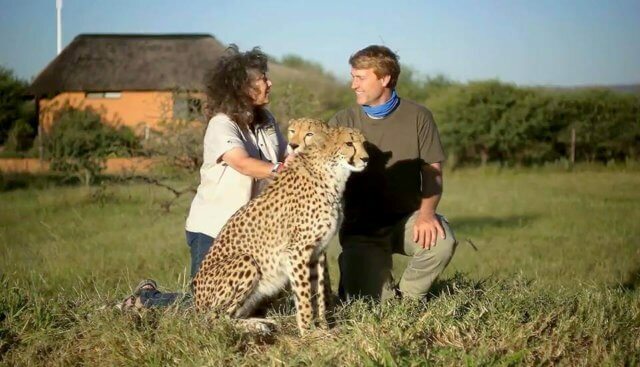 This activity gives you the opportunity of enjoying a unique personal encounter with one of CCF’s ambassador cheetahs and to interact and spend some time with CCF’s research staff. At Book Namibia we take great pride in providing information not only on the various cheetah, big cat and other wildlife and landscape conservation projects – our country is, after all, home to the magnificent Namib Desert, 2 UNESCO World Heritage Sites and a place of great majesty and wonder – but also in providing you with information on where to stay, how to get here and what you need to know when you are here. We are not a tour operator, but we can put you in touch with the best, so why not have a look at the Book Namibia website now, and see what awaits you in this unique and fabulous country.